Just when Zoya got done with one promo, they shared another one with us! I loved the Valentine's promo, where you could get an item and receive a choice of a red polish + free shipping. It's difficult to have Zoyas stick around on your wishlist for long. That is certainly not a problem! This is one of the Zoyas I got with that promotion. Cheri is a warm rosy pinky-red with a golden shimmer. Well, I'm sure you know why I like this one...gold shimmer! This is a nicely pigmented color. I love rosy shades, and I do not have one quite like this. I was wondering if this was similar to China Glaze Strawberry Fields (blog post by The Swatchaholic), but Cheri is warmer, redder, and darker. The only real similarity is that they are pinks with gold shimmer, but very different shades of pink. Lovely shade. I actually think this would look great on a variety of different skin tones. Ohh this is gorgeous! Good choice! This is so pretty! I love when people get shades that aren't the most popular ones. You're right about the zoya wishlist too...it's always rotating. That's why I love Zoya. They make it so easy to own. This is so pretty! But...how does it compare to Elke? Thanks! I know they do have some hidden gems from the past. It's hard to remember them when they release all the great new stuff. 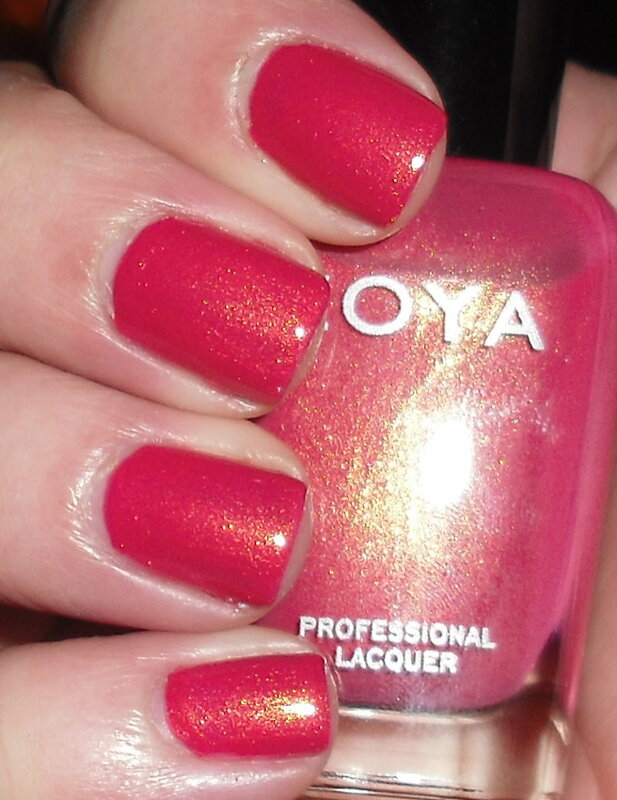 Zoya is amazing! You really should try them. They are definitely my favorite nail polish brand. As soon as I saw this I thought of Strawberry Fields too! I love the gold shimmer! :D i love pinks like this!! And you just created another lemming for this girl LOL... GORGEOUS!!!! Zoya's shimmers are THE best! Gorgeous swatches. I love the golden shimmer here! 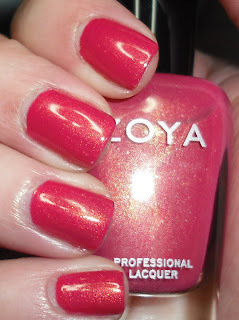 It looks a lot like Catrice Big Spender Wanted but I gurdd in reality this Zoya is a lot more red!